Hair Salon Columbia Md. – Vivid Salon & Day Spa / What Makes Your Hair Soft And Shiny? | Best Salon and Spa in Columbia MD! Hair Salon Columbia Md. – Vivid Salon & Day Spa / What Makes Your Hair Soft And Shiny? The reason? Keratin is on the front lines everyday, battling it out with over-coloring, perming, teasing, styling products, using a flat iron or curling iron regularly, and even just brushing your hair! 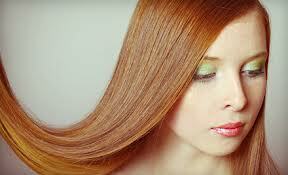 Those everyday beauty staples deplete the keratin in your hair. Next time: What’s The Fuss About Keratin Hair Straightening Treatments? This is a different service from the one we discussed today. We’ll talk about it next time.